that it seems to freeze up after using it for long periods of time other than that I think that this is a great gaming console. 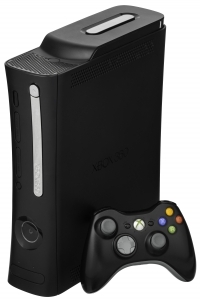 The best thing that I like about the xbox 360 is being able to get on xbox live. The console has great graphics when being played online. The graphics are about the same as when playing when you are not online. to use the console with a high definition TV for better graphics. I just purchased a high definition tv and it is a lot better than playing on a standard tv. this game console to anyone. Many of my friends and family also have this system. They have not had any problems with it and they all think that it is a great gaming console.